Prime Minister Narendra Modi will lay the foundation of industrial projects in Uttar Pradesh totalling nearly Rs 75,000 crore later this month. While the Yogi Adityanath government has tentatively fixed the ‘groundbreaking’ ceremony in Lucknow for January 20, the final date would be fixed after confirmation by the Prime Minister’s Office (PMO). These projects are part of the Rs 4.68 trillion worth of memoranda of understanding (MoUs) signed by the state government with public and private sector companies at the ‘UP Investors Summit’ here on February 21-22, 2018. Most of these projects are related to IT and electronics, sources said. The first ‘groundbreaking’ ceremony on July 29 last year was also attended by Modi, who not only laid the foundation of 80 projects worth Rs 60,000 crore but also exhorted UP and Maharashtra to compete for emerging as the country’s first trillion-dollar economy. Earlier, the Adityanath government had been trying to organise the second foundation laying ceremony in November. However, owing to the ensuing assembly polls in five states and the whirlwind canvassing tours of the CM, the event got postponed. Moreover, the preliminary groundwork was also incomplete. In November, the state industrial development department organised a roundtable with leading industrialists, whose projects were lined up for the next grand launch. In fact, Adityanath had also expressed unhappiness over the slow pace of follow-ups for these projects and directed officials to ensure that necessary work was completed in time, to ensure that projects worth Rs 50,000 crore could be launched before December with another similar ceremony for projects totalling Rs 50,000 crore lined up for February 2019. “We are planning to lay the foundation of projects worth Rs 1 trillion this month and are waiting for PMO’s nod. In any case, we are confident that projects worth Rs 70,000 crore to Rs 75,000 crore would be launched at the ceremony,” UP industrial development minister Satish Mahana told Business Standard. Modi is also scheduled to visit Agra on January 9 to kick-start the party’s 2019 Lok Sabha election campaign. Adityanath is expected to visit Agra tomorrow to review the preparations for PM’s visit next week. 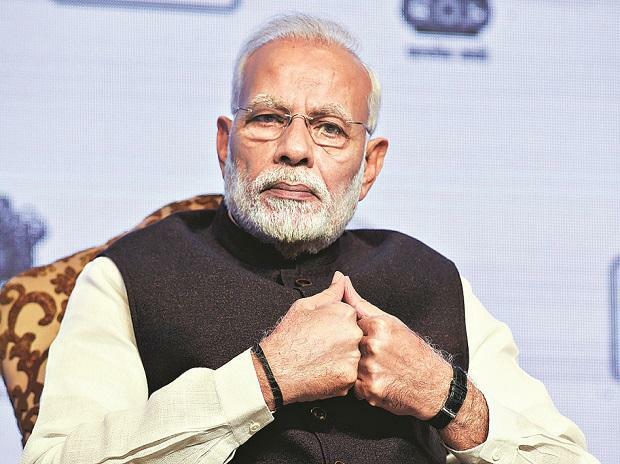 The twin visits of Modi to UP this month would provide a perfect footing to the ruling Bharatiya Janata Party (BJP) to formally switch to the electioneering mode by balancing its political and development planks. Meanwhile, the Adityanath government is also pushing its other mega infrastructure projects, including the Bundelkhand Defence Corridor, Bundelkhand Expressway and Jewar International Airport. While, the defence corridor is expected to attract an investment of almost Rs 50,000 crore, the 289-km Bundelkhand Expressway is estimated to garner investments worth Rs 10,000 crore.